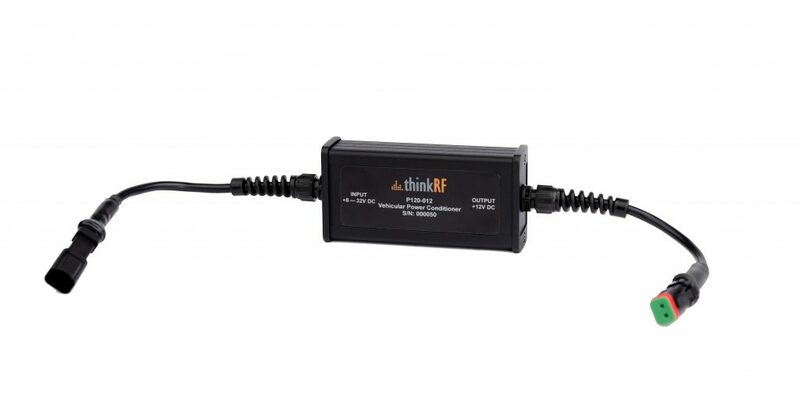 The ThinkRF P120 Vehicular Power Conditioner allows users to power in-vehicle equipment through a standard vehicle power supply while protecting equipment from vehicular power transients. 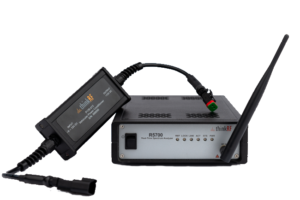 When combined with the ThinkRF series of Real-Time Spectrum Analyzers, the P120 conditioner enables mobile spectrum analysis applications such as drive testing, coverage mapping, interference hunting, and regulatory monitoring. The P120 is designed to give a single regulated output of +12VDC under different input voltages ranging from +8V to +32V. The inputs and outputs are provided via strain-reliefed 16 AWG cables with 2-pin square ML-XT style Molex connectors. There is a choice of input using standard vehicle cigarette lighter style connector or loose lead stranded soldered cables. The output cable is terminated with a LEMO series connector. The P120 conditioner is compact, lightweight, and portable for easy use in any deployment scenario or vehicle, including military vehicles, vans, boats, or UAVs. Measuring 131 mm x 62 mm x 34 mm, the P120 powers in vehicle equipment without adding significant size or weight to the solution.